DR. MUSTAFA CERIĆ: There are many similarities between the Nazi Holocaust against the Jews and the Serb Genocide against the Bosnaiks, yet there is a crucial difference: the fact the responsible Germans willingly committed themselves to carry out de-Nazification of the German society, which has proven to be a sound, useful and successful undertaking, not only for German society, but for entire mankind, whereas, on the other hand, the irresponsible Serb mind and politics reject the very notion of de-Nazification of the Serbian society. 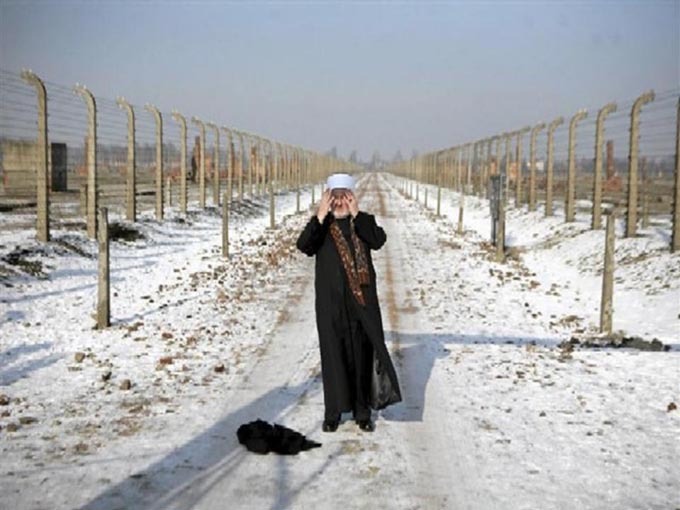 Ten years ago (2009), on this very day (27 January), I visited Auschwitz in the capacity of the Reisu-l-Ulama of the Islamic Community in Bosnia and Herzegovina and in the organization of the Aladdin Project under the patronage of UNESCO. The Aladdin Project was initiated by the Paris-based Shoah Foundation with the aim of preserving the memory of the Holocaust and condemnation of its deniers. The then Mayor of Sarajevo, Alija Behmen was with us, among others. My visit to Auschwitz was not a ceremonial or a tourist adventure, but a life lesson I shall never forget. The redness on my face was not caused by the cold Polish day in January, but by the shame of my Bosnian soul because of the crime human beings had committed against other human beings. I admit that, prior to that, I had not been touched by the story of Auschwitz. Moreover, I had been inclined to think that it was all invented, until Genocide was committed to my people in Bosnia and until I realized that "Never Again", which was taken by man, was not a reliable oath. Unfortunately, we, human beings are like that. We do not feel the pain and suffering of others unless we feel the same pain and suffering ourselves. It was only then and there, in Auschwitz, that I realized why the Jews in the whole world were dismayed more than others by the Genocide in Bosnia. In the very beginning, they sensed this genocidal threat better than we did because we naively believed that it could not happen to us. 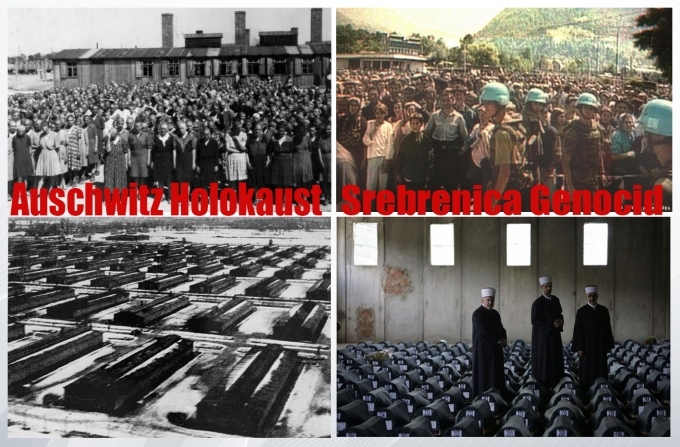 They, the Jews ”Once Again” experienced the Serb genocide against Bosniaks-Muslims as their own pain and their own suffering that had been inflicted on them by the Holocaust. That is why I felt the need to invite the renowned New York Rabbi, Arthur Schneier to join us and address us on 11 July 2012 in Potočari, just like I had addressed the attendees at the Memorial in Auschwitz. In his own words, this was the most emotional address he had given in his life, and the most convincing testimony that the Holocaust against the Jews and the Genocide against the Bosniaks had shamefully marked the 20th century. That is the reason why the Bosnaiks must commemorate the 27th January in Auschwitz in the same way as they commemorate the 11th July in Potočari. DR. MUSTAFA CERIĆ: To all survivors of the Holocaust, who are today in Auschwitz, I want to express my condolences and my message that they are not alone in their pain and suffering, to all victims of the Holocaust who did not survive, I prey to God to give them Mercy and Salvation from the infernal flame which is still more benign than the infernal flame of the Holocaust. And let us hear, again, always and everywhere, that "NEVER AGAIN" shall the Holocaust and Genocide happen to anyone, anywhere! Amin! There are many similarities between the Nazi Holocaust against the Jews and the Serb Genocide against the Bosnaiks, yet there is a crucial difference: the fact the responsible Germans willingly committed themselves to carry out de-Nazification of the German society, which has proven to be a sound, useful and successful undertaking, not only for German society, but for entire mankind, whereas, on the other hand, the irresponsible Serb mind and politics reject the very notion of de-Nazification of the Serbian society. 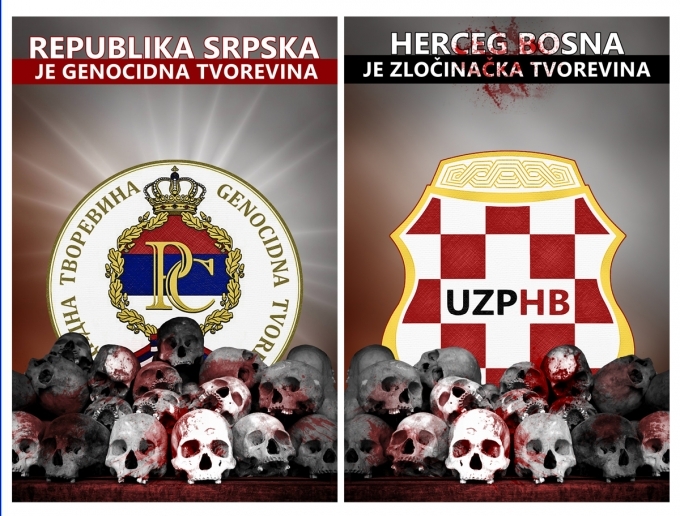 Quite the opposite, it is not only that the Serb Genocide against the Bosniaks is being denied, but it is glorified as the Serb national trophy, Unfortunately, the Croat mind and the Croat politics does not lag behind the Serb one in this glorification of ”the joint criminal enterprise”; at the Croatian Assembly held yesterday in Mostar, they denied the final judgment passed by the International Criminal Tribunal in the Hague. This is neither an act of human courage nor of moral virtue, but rather human cowardice and the moral fall that causes the greatest damage to the Croat mind and politics, not only in Bosnia, but also in Croatia and in the whole world. Indeed, out of the feeling of love for truth, justice, peace and reconciliation, we need to take this opportunity to imagine and dream, on this day (27 January) of Remembrance of the Holocaust in Auschwitz, the day when – and I pray to God Almighty that the Roman-Catholic Pope, the Patriarch of Constantinople, the Grand Sheikh of al-Azhar and the Chief Rabbi will get together on 27 January in Auschwitz and 11 July in Potočari to take an oath - before the Almighty God and the before entire mankind - that the Holocaust and Genocide shall happen Never Again, Nowhere Again, and Against No One Again. That would be a Millennial Event and the true implementation of the Old, the New and the last Testament of Ibrahim’s tradition, that says, ”whoever kills an innocent person, it is as though he has killed all mankind, and whoever saves a human life, it is as though he has saved all mankind”. Is there greater meaning and purpose in faith than for us the believers, to take an oath in the Name of One and Only Almighty God that we shall act as human beings, and not like beasts, to one another? There is no greater meaning and purpose in faith that this one! Do we have the right to believe that it is possible for this to happen in the 21st century? Do we have the right to hope that it will indeed happen? Do we have the right to believe and to hope? Everything begins from belief and hope so one day, God willing, this will begin and will be done for the good of mankind. To all survivors of the Holocaust, who are today in Auschwitz, I want to express my condolences and my message that they are not alone in their pain and suffering, to all victims of the Holocaust who did not survive, I prey to God to give them Mercy and Salvation from the infernal flame which is still more benign than the infernal flame of the Holocaust.